Montañita is a small coastal town located in the province of Santa Elena about 180 kilometres northwest of Guayaquil. The town has grown constantly over the last few years and has become a multicultural beach and paradise for surfing. 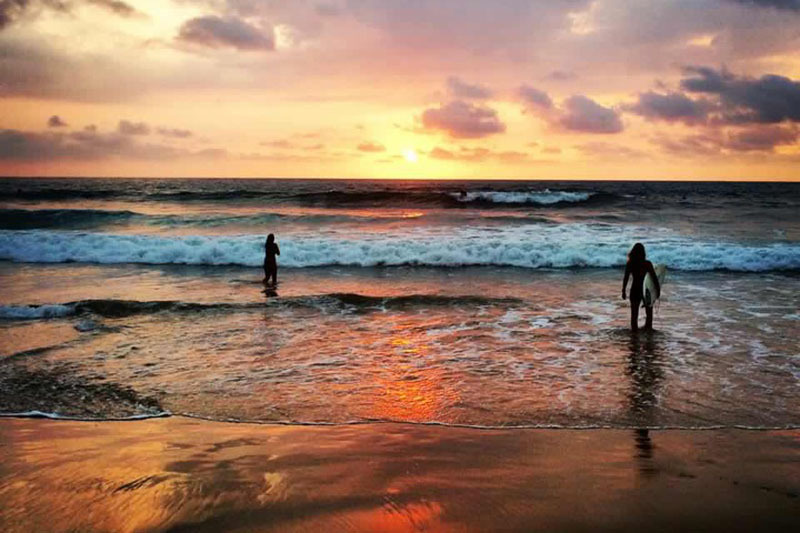 The atmosphere makes it a great place to learn Spanish on the beach in Ecuador, meet other travellers and practice and perfect your Spanish with the local community. In Montañita village and on the two main roads you will find a lot of outdoor cafes, cocktail vendors and artisans. The food is delicious and cheap, whether you taste the local delicatessen like choclos and ceviche from the street vendors or sitting down at the many restaurants with the best chefs in Ecuador. There is a great selection of pancakes and tropical fruit for breakfast and fantastic fresh seafood for the rest of the day. Montañita is the best location in Ecuador for surfing and organizes many international competitions. With many local dive sites and the famous Isla Del Plata not far away, it is also a diving paradise. Of further interest is Agua Blanca, an important and interesting archaeological site with an interesting history of the Pre-Colombian Era. Besides, there are dozens of beatiful beaches close by to walk, swim or ride horses! Puerto Lopez for example is a great traditional fishing port and is world famous for its whale watching. 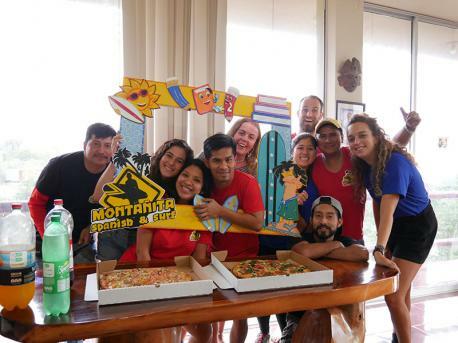 The possible outdoor activities are endless and make Montañita not only a funky cool place but also an ideal destination to combine vacations to learn Spanish in Ecuador with a sea view!